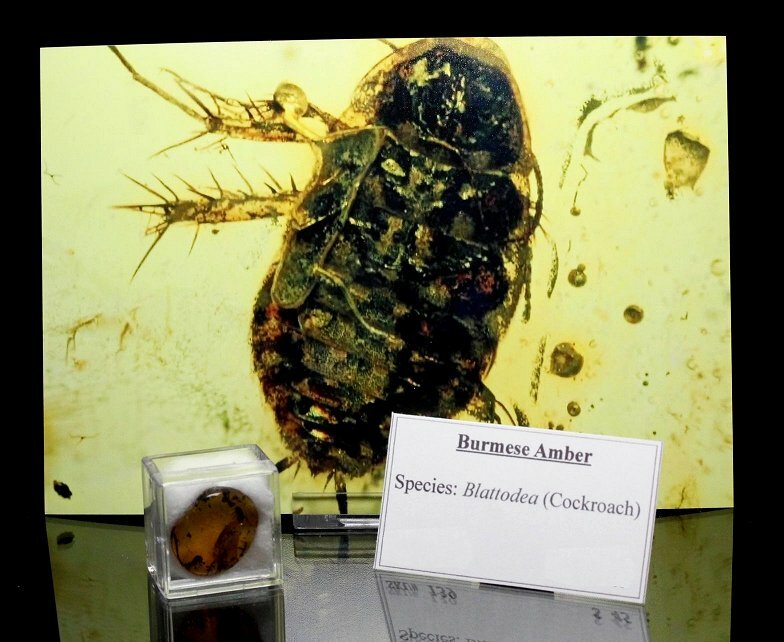 This is a very distinct insect in amber. It is a complete Cockroach (Blattodea) from Myanmar (Burma). 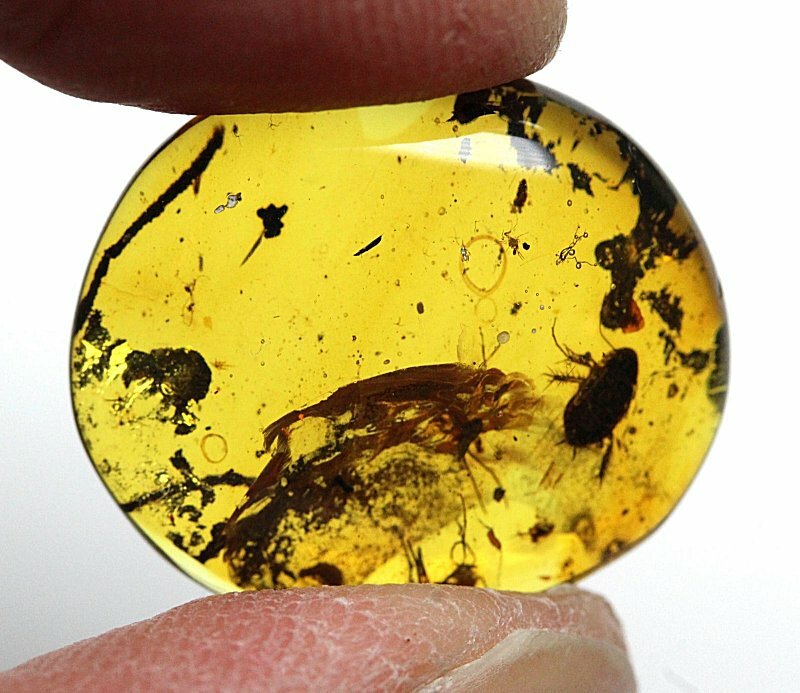 Amber from this area is Cretaceous in age, meaning it is from the time of the dinosaurs! This roach is very detailed and easily seen in the amber piece. There is also some cool detritus preserved in the amber nugget. 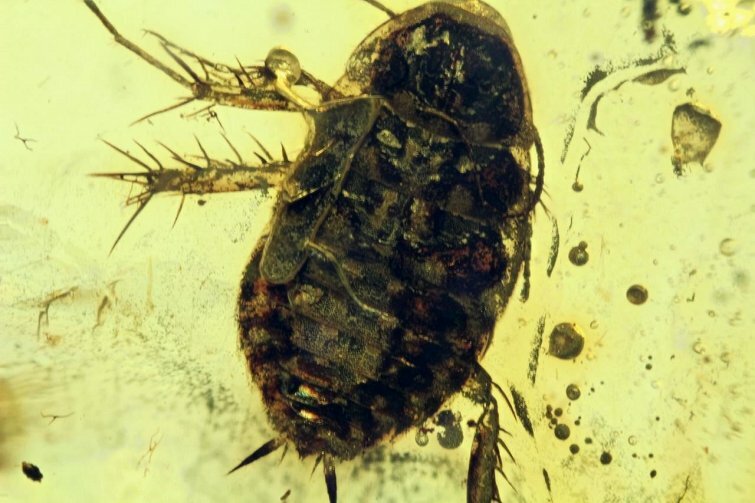 This is a very nice Cockroach trapped in fossil amber (close-up photo is included for free).